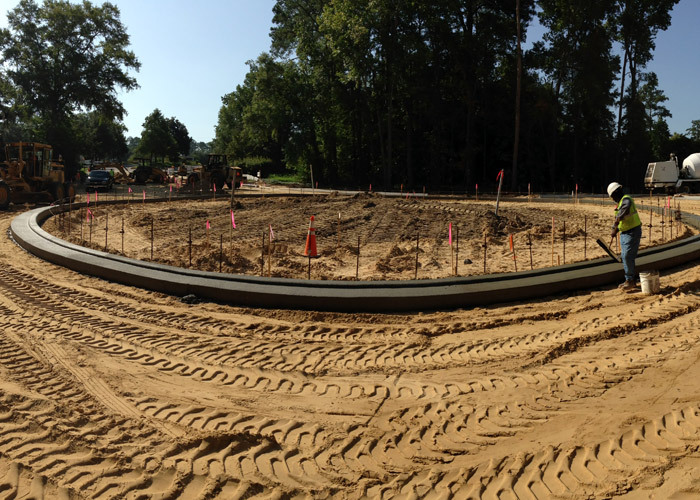 Kinhega Roundabout | M of Tallahassee, Inc. 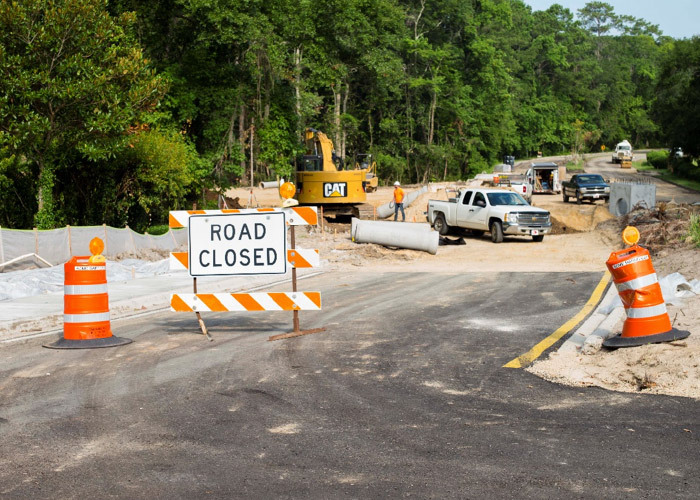 This project was awarded the American Public Works Association (Big Bend Chapter) Transportation Project of the Year for 2015. 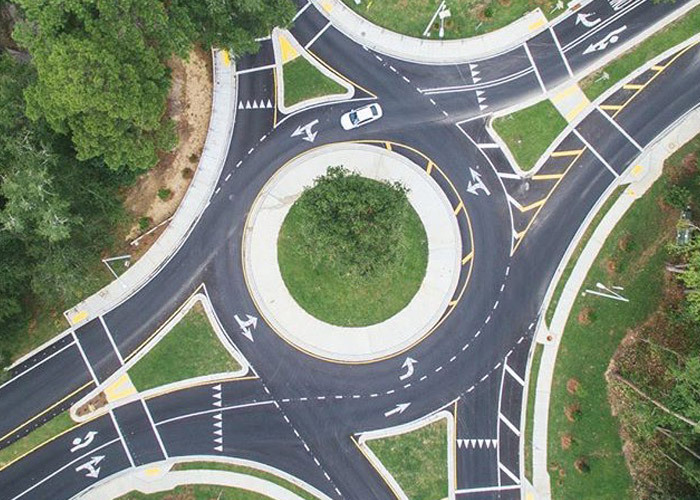 M Inc. was pleased to work with Leon County to construct this project which included a traffic roundabout to serve the residents of Killearn Lakes as well as Lawton Chiles High School and the adjacent businesses. With a tight construction schedule limited to the school’s summer break, M Inc. finished ahead of schedule and on budget. 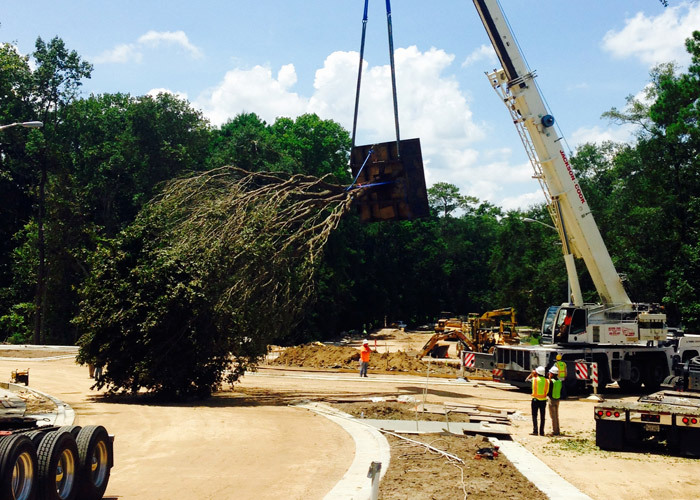 The project also included transplanting a full-sized Live Oak in the center of the roundabout to represent the Killearn Lakes Home Owners Association logo.